Tell us about your book and how it relates to your life. 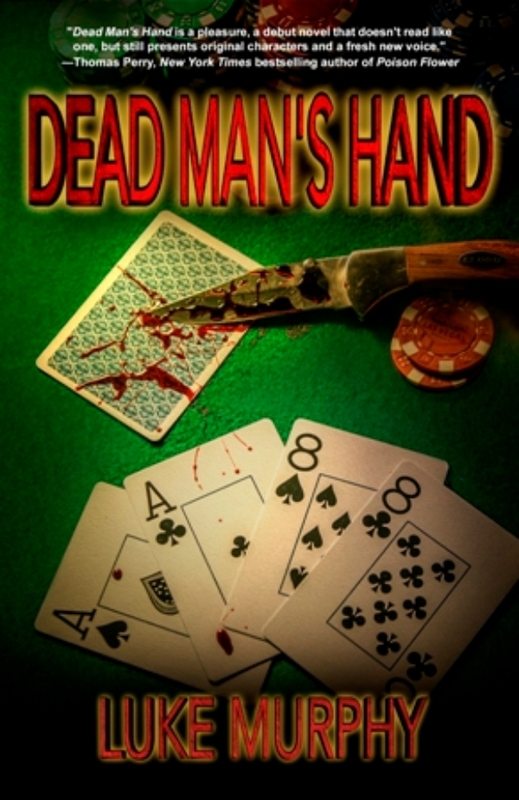 Dead Man`s Hand is a crime-thriller set in the seedy underbelly of Las Vegas. It takes readers inside the head of Calvin Watters, a sadistic African-American, Las Vegas debt-collector framed by a murderer who, like the Vegas Police, finds him to be the perfect fall-guy. As for my connection… No, I have never been involved in a homicide investigation, LOL. The plot is completely fictional. Although I am not a 6’5”, 220 pound African-American, I’ve used much of my athletic background when creating my protagonist Calvin Watters. Watters past as an athlete, and his emotional roller-coaster brought on by injuries were drawn from my experiences. His mother died of cancer when he was young, as mine did. There are certainly elements of myself in Calvin, but overall, this is a work of fiction. I did not base the characters or plot on any real people or events. Any familiarities are strictly coincidence. There is not a single moment in time when this idea came to be, but circumstances over the years that led to this story: my hockey injuries, frequent visits to Las Vegas, my love of football, crime books and movies. Dead Man`s Hand became real from mixing these events, taking advantage of experts in their field, and adding my wild imagination. The internet also provides a wealth of information, available at our fingertips with a click of the mouse. How has your sports career influenced marketing your book? I’ve been fortunate to travel across North America and meet many wonderful people through my professional hockey career. This has been very beneficial in the marketing of my book. Through hockey I’ve made media contacts through interviews I’ve done (radio, TV, print). in the cities where I played hockey, or have contacts. 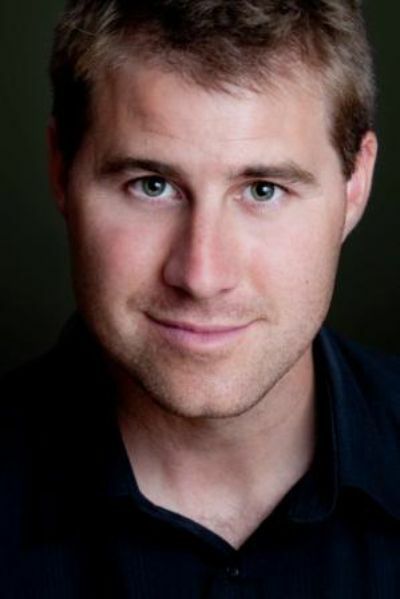 I have played hockey for teams and leagues all over North America, creating a fan base in a variety of cities, and have also worked in hockey camps. Many of these fans have stayed in contact over the years via Facebook and Twitter. My sports column, Overtime, which was a main feature in The Pontiac Equity, not only had a following but helped in writing concise and exciting prose. Do you have a favourite fan story to share? I have many favorite fan stories from my hockey career, but one that certainly stands involved a young girl in a wheel chair who never missed a game. She often wore my jersey and sat in the handicapped area, down on floor level behind the glass. During warm-up one game, I smiled and winked at her. After the game, her mother was waiting for me outside the team dressing room in the fan section, and she told me that I had absolutely made her day with that wink. So from that moment on, I always looked out for her during warm-up, and my routine would include that smile and wink to that same little girl. Unfortunately once I moved on to another team, I lost track of that girl. I still often think about her and what she’s doing now. 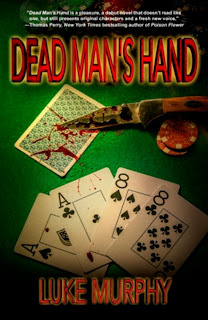 Actually, Dead Man’s Hand will be FREE to download on Amazon from June 26-28. If you haven’t yet read my International best-selling crime-thriller, now is the time. I’m currently working on a new crime novel, but my wife and I just had our third child, so the process has been stalled and is going quite slowly. Eventually I would love to write more books, including a sequel to Dead Man’s Hand. From NFL rising-star prospect to wanted fugitive, Calvin Watters is a debt-collector framed by a murderer who, like the Vegas Police, finds him to be the perfect fall-guy. When the brutal slaying of a casino owner is followed by the murder of a bookie, Detective Dale Dayton leads the largest homicide investigation in Vegas in the last twelve years. To redeem himself, Calvin must prove his innocence by finding the real killer, while avoiding the LVMPD, as well as protect the woman he loves from a professional assassin hired to silence them.